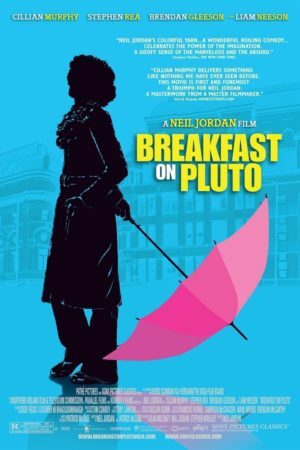 Breakfast on Pluto far exceeded my expectations, leaving me in the awkward position of expressing a considerable degree of enthusiasm for a movie that, in the cold light of day, doesn't do much of anything. It's the story of an orphaned boy named Patrick, living in a small Irish town in the home of a tyrannical foster mother. To escape the drab misery of his life, he dresses as a woman and renames himself Kitten, and flees for London, stopping along the way to dabble in singing, revolution, prostitution and a children's theme park. Throughout, he keeps his eyes on one goal: to find the Phantom Lady, his birth mother who was "swallowed up by the city," and about whom Kitten knows only one detail: she bears a striking resemblance to Mitzi Gaynor. It's a bit convoluted, and that's without mentioning all of the tertiary characters Kitten encounters along the way, and even less so the constant background of the conflict between Ireland and the UK. 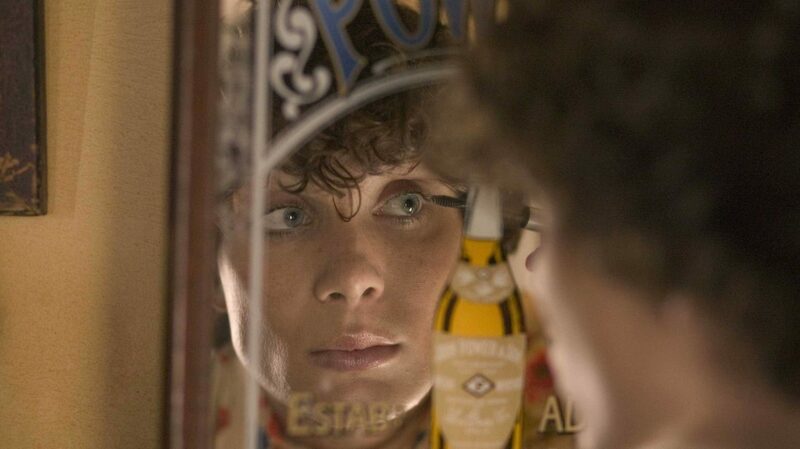 Whatever all that may look like, Breakfast on Pluto is first and above all a fairy tale, told from the perspective of a perpetual fantasist. Neil Jordan directs with a clear sense of this, and so we get an array of bubbly pop tunes on the soundtrack, looping camerawork, bright colors, and even some CGI robins speaking in subtitles. It proves to be the lightest film ever made about transvestism and the IRA. But the script, which Jordan co-adapted with Pat McCabe from the latter's novel, is murky. The film relies, first and above all, on our understanding Kitten, getting into his skin, seeing the world as he does. And the writing simply doesn't back that up. It puts Kitten in front of us, and really, does nothing with him. Thus it falls entirely on Cillian Murphy to bear the film along. And he does. Oh, how he does. His performance as Kitten is simply extraordinary. He doesn't make a convincing woman, physically, which ends up working more than not. But the core of this character isn't how much he looks, or even acts like a woman. It is entirely in the fantasy world that Kitten has built up to keep all of the dreadfulness (abandonment, terrorism, poverty) looked safely out. Murphy delivers all of his lines in a curious voice that sounds not at all feminine, but not anything else, either. It is the voice of a cheerful, loopy optimist. And the voice is important, because a great deal of the film is narrated (I suspect, though I do not know, that Murphy has more lines in voiceover than dialogue) - Kitten is telling us what amounts to a bedtime story. And like any good bedtime story, there are all sorts of colorful characters, and strange events, and in all cases, Kitten responds by patiently refusing to break down the wall between himself and reality. Even lying bloody in a police station, he first and foremost thinks of his role in his fantasy. Murphy lets us in to that fantasy, which the script only points at, and saves the film in the process.